Synopsis: Two detectives are assigned to a case in which the killer is brutally murdering his victims, based on the seven deadly sins. Review: Sometimes, it just seems that there is just no escaping from the brutality and horrors life can sometimes be. On any given day, you tend to come across stories of horrific violence committed against all sorts of people, brutal murders and the like all seem to have become just so common for us to hear about. As such, there is something almost generally disturbing and unsettling about the second directorial effort of David Fincher, because it depicts events that could very well happen in the world today. The opening credits along let the viewer know the sort of ride that they are in for, and it sure as heck won’t be pretty. 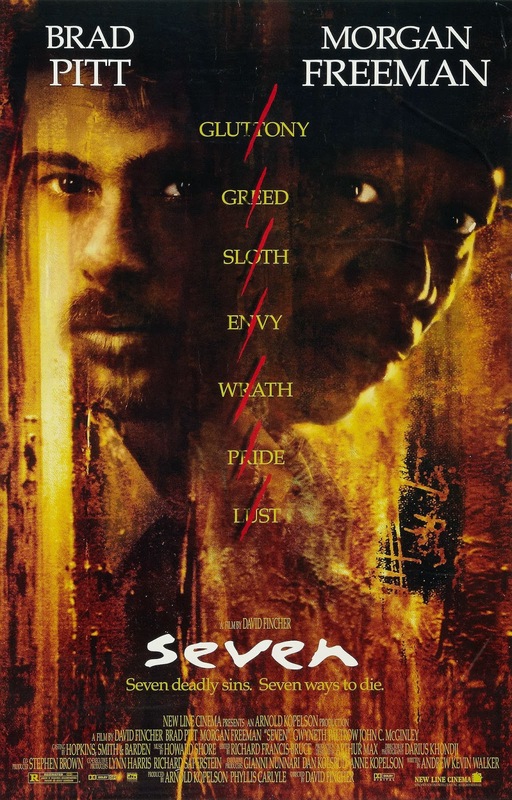 In an unnamed US city, Detective William Somerset is a veteran at the job, and is just a week shy of retirement when he gets assigned to this deeply disturbing case of a killer who is using the seven deadly sins as a basis for his crimes. With each respective murder representing each of the seven sins: gluttony, greed, sloth, envy, wrath, pride and lust. Also assigned to the case is the recently reassigned Detective David Mills who’s a bit brash, polar opposite to the calm and methodical William Somerset. Together these two must piece together the clues of the crimes to catch the killer. Except this mystery killer always seems to be one step ahead of the game. Even from the opening credits, there’s something just so deeply unsettling about the events that we see on screen. The weather is almost always drab and bleak, which mirrors the tone of the film, extremely sombre and just downright macabre. The film-making is gritty and realistic to the point that it and almost makes you feel like the events you’re witnessing are real life events, but the film doesn’t go all out with the gore, it all just feels very realistic. With each murder that takes place, it keeps the plot moving along at a very steady pace. You want to turn away as the events, and more specifically the murders are so disturbingly gruesome, but the quality of the writing keeps your interest glued to the screen. 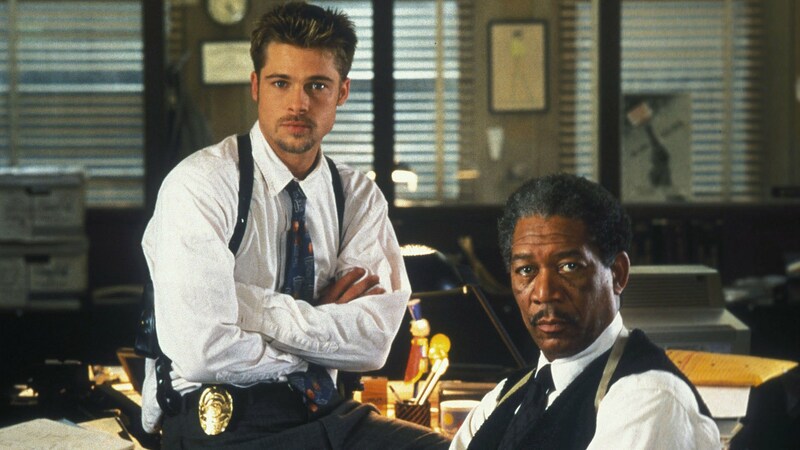 In a story that feels like it could be something you see in real life, the performances from everyone, in particular Brad Pitt and Morgan Freeman are tremendous. Their relationship is not exactly harmonious, and indeed the crime scenes they’re investigating understandably take their toll on the duo, but they remain committed in their efforts to bring down the killer. Gwyneth Paltrow as Mills’s wife Tracy also gives a very vulnerable performance, a woman who is hiding something quite important from her husband, something that plays great significance when we reach the final act of the film. Speaking of said final act, though there is tension right right throughout the film, particularly during a gritty gun battle in a residential block. The finale is where the tension is really turned up to maximum and the whole story comes to a head. Right up to this point, you had never actually witnessed the murders be carried out on screen, only the very bloody and unpleasant aftermath of each crime scene. Yet all that changes, and the whole plan of our mystery serial killer comes full circle. 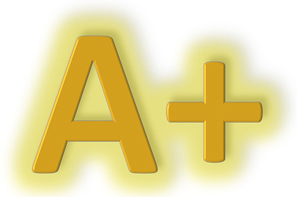 It’s so unexpected, delivering one of the best twists in cinematic history and providing the viewer with an ending that is more than likely to leave them reeling. It’s shocking and bold storytelling combined with meticulously crafted film-making. Thus, credit where credit is due to Fincher and screenwriter Andrew Kevin Walker for creating not just an ending that surely ranks up there with one of the very best ever put to screen. For creating a chilling tale that won’t be leaving your mind in any hurry, and one that ensures you will never hear the sentence “what’s in the box?” in the same way ever again. Dark, brutal and uncompromising storytelling, with great performances from Pitt and Freeman, and a masterfully executed ending all equal one of the best films of all time.